OCCAR has announced the delivery of the 400th Boxer vehicle under its trilateral co-operation programme between Germany, the Netherlands and Lithuania. The vehicle – an Armoured Engineer Group Vehicle (GNGP) variant - was delivered to the Royal Netherlands Army in December by manufacturer Rheinmetall MAN Military Vehicles Nederland. 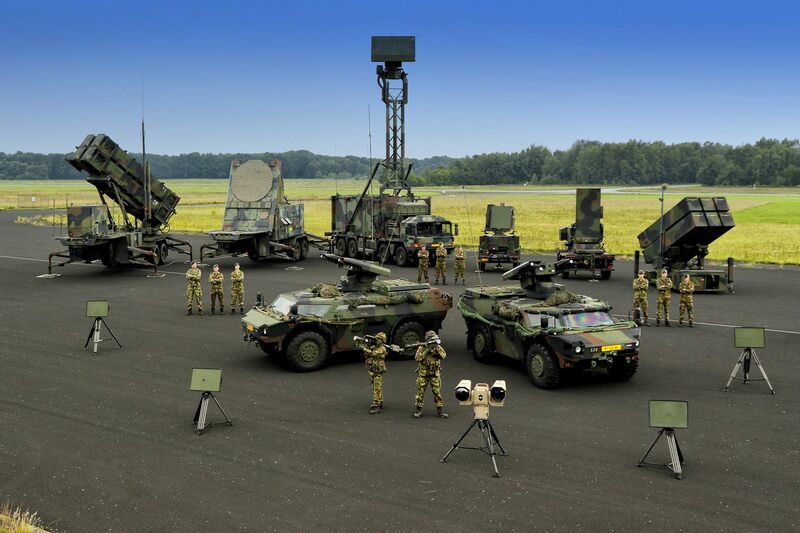 With this delivery the Netherlands army has 29 GNGPs in-service. The Netherlands is receiving Boxer vehicles in five variants. The GNGP variant used for the transport of troops and engineer group equipment; along with ambulance, command post, cargo and driver training vehicle variants. The OCCAR programme is delivering 696 Boxer vehicles to the armed forces of Germany, the Netherlands and Lithuania. The agency expects the number of participating countries to grow in the coming years as the vehicle continues to prove itself successful in operation. Dutch Special Forces will use the Dutch-made Vector (‘Versatile Expeditionary Commando Tactical Off Road’.) to meet the Air Transportable Tactical Vehicle (ATTV) requirement and to replace the KCT's (Korps Commando Troepen ) custom Mercedez-Benz G-wagens. The VECTOR has better load capacity than the G-wagen, better handling characteristics, and is air transportable by Chinook. The VECTOR was launched in June 2014 under the name of ATTV (Air Transportable Tactical Vehicle)at the Land and Airland Defence and Security international exhibition, Eurosatory, held in Paris, France. General Dynamics European Land Systems markets the vehicle in Europe under an agreement with Defenture BV. According specifications of Defenture Company, the VECTOR has a weight of 3,050 kg with a payload of 2,000 kg maximum. It can carry a total of 5 military personnel. The VECTOR is lightweight tactical vehicle based on a centre tubular chassis platform, which allows for quick reconfiguration of the vehicle to meet various mission needs. It offers rugged reliability and superior agility. The VECTOR of Dutch Army is fitted with ring mount weapon station armed with a 12.7mm heavy machine gun. A second machine gun 7.62mm caliber is mounted on a swivel station located at the front of the commander position. The VECTOR can be equipped with ballistic armour and anti-mine kits to provide all-round protection up to STANAG 4569 level 1. An additional armour kit can be fitted on the vehicle to increase protection against ballistic and mine threats. The VECTOR can reach a maximum road speed of up to 170 km/h with a maximum cruising road range of 1,200km. It has a ground clearance of 0.3 m and fording depth of 0.86 m. It can negotiate gradients of 80 % to 90 % and vertical obstacle of 0.3 m.